Many people tend to use the term ADD loosely and insensitively without understanding what it actually is and what a much harder time those afflicted with it have. Children generally tend to be the ones who receive an ADD diagnosis, but many adults out there have it and remain undiagnosed, so they suffer the consequences of their symptoms without being the wiser about their condition. What is ADD or Attention Deficit Disorder? It is actually the most commonly diagnosed psychiatric disorder in children, while about five to 10 percent of adults are believed to suffer from clinical ADD. Some of the symptoms are short attention span, impulsivity, distractibility, procrastination, disorganization, poor planning and poor follow through. If the disorder remains untreated, it can definitely have a very negative impact on a person’s life, affecting everything from academic or professional performance, relationships and social behavior, to self-esteem and emotional health. Too often, many ADD patients experience chronic stress, anxiety disorders and depression. Diagnosis is really key. As it happens, treatment these days is usually very easy and quite inexpensive. For serious cases of ADD, guided imagery has been reported to be very effective in helping patients cope with their condition. While labeled as a form of alternative therapy in the past, this kind of meditation has since gained credibility and acceptance in the medical and scientific world. Through meditation, the ADD coach or treating physician can help the patient develop a deeper awareness of who he is beyond the disorder, figure out and establish personal values, and pool positive reference memories. Through guided imagery, the overactive mind can be quieted. 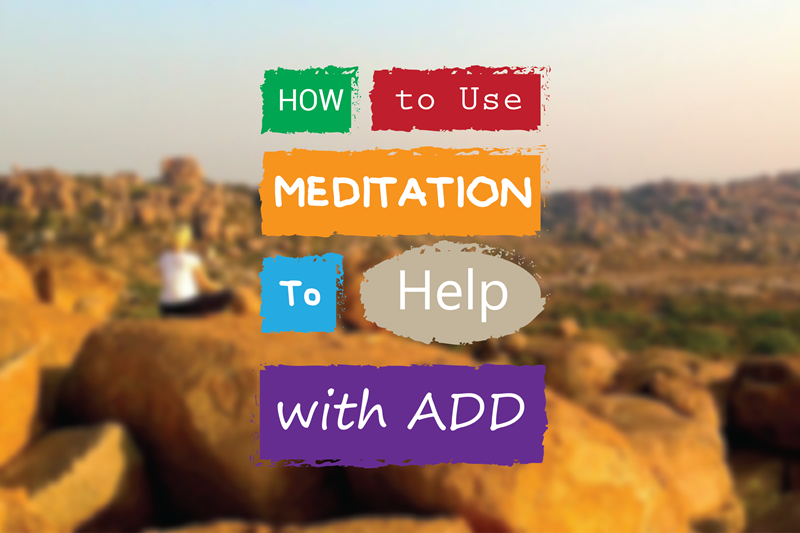 There are effective meditation techniques and audio programs that are designed to help those with ADD to focus and enhance their life. Studies conducted have shown that ADD children who learned how to meditate started manifesting significant reduction of symptoms such as impulsivity, inattention, and even hyperactivity. This consequently enhanced self-esteem and led to improved relationships. Such a finding means a lot to parents of ADD children and to adults with ADD since there are some controversial issues associated with medication for the disorder. For starters, dependence on it is dangerous, so effective alternatives are definitely appreciated. For another, the meds also often come with unpleasant and alarming side effects. Guided imagery provides a very helpful, wholesome and safe coping technique for ADD patients, making it a sought-after therapy solution in the ADD community.